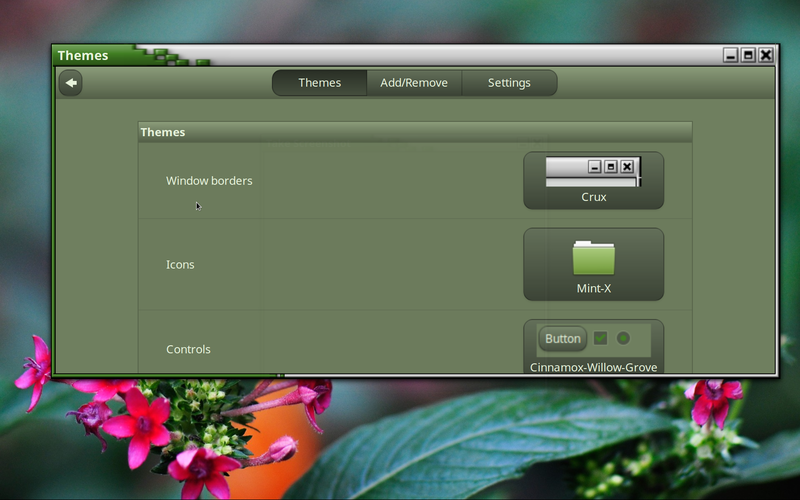 The somewhat green background is courtesy of the Controls theme Cinnamox-Willow-Green. That green color on the left side of the border is effected (affected?) 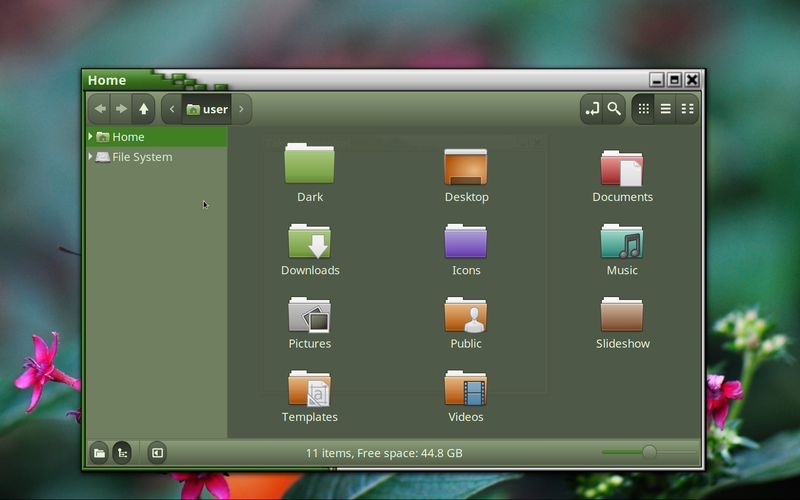 by the desktop theme which is in this case is Minty. I have found only one other color possible besides green and that is the reddish color of Cinnamox-Gold-Spice. I hope there are more Cinnamox themes I will be looking. There are two more Cinnamox themes. When used as the Controls theme backgrounds are bluish. 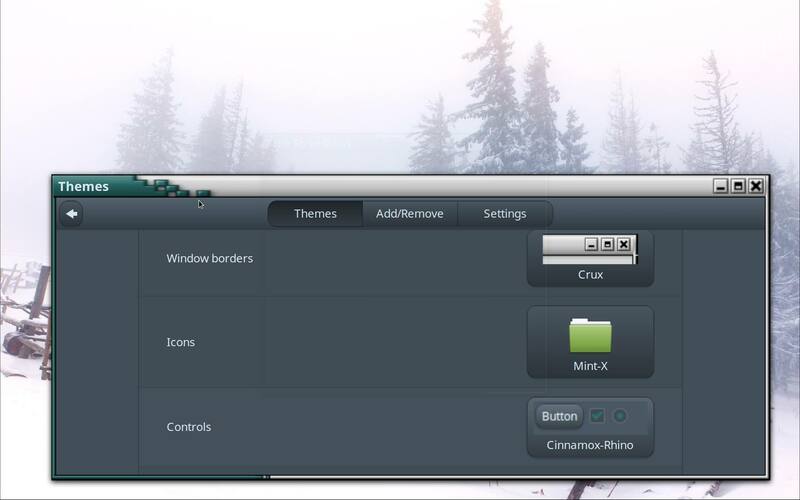 The Rhino theme is grey..
Nice to see folks making use of the Cinnamox themes. I did have a Ferrari Red version in the wings but thought it was a little bit garish so it never got an upload. If you want to experiment with other colour variations the themes are not hard to modify using a text editor that can do mass find/replace (e.g. Geany) as the difference between each theme is only 4 colour values. E.g. 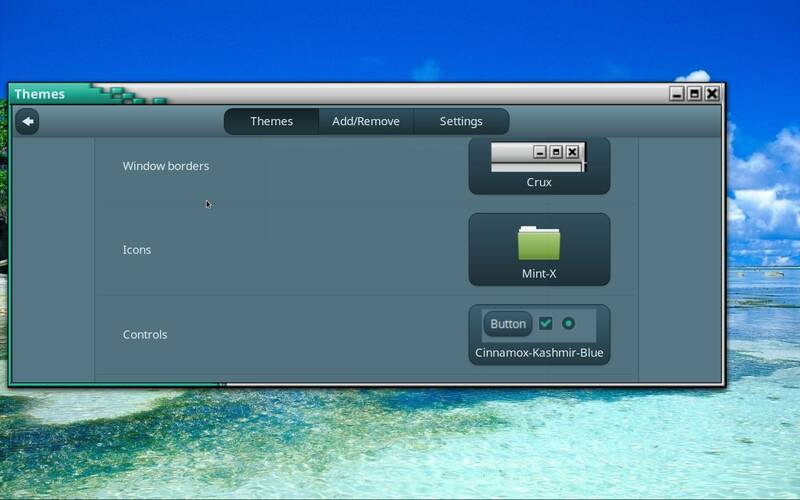 Start with Kashmir-Blue, make a copy of the Theme and rename it e.g. Cinnamox-Ozo-Experiments. Then open the following files in Geany - cinnamon.css; gtkrc; gtkrc.hidpi; gtk.css (the one in the GTK-3.0 folder is the relevant one for Mint); metacity-theme-2.xml; metacity-theme-3.xml. Then do an all files find/replace to change the following values wherever they occur across those files. These are the Kashmir-Blue values. They are in order the darker background shade, the lighter background shade, the highlight colour and the text colour. I am not that experienced at it. The beautiful colored theme I am using right now is great but yes I was looking for a little more green to go along with my theme. 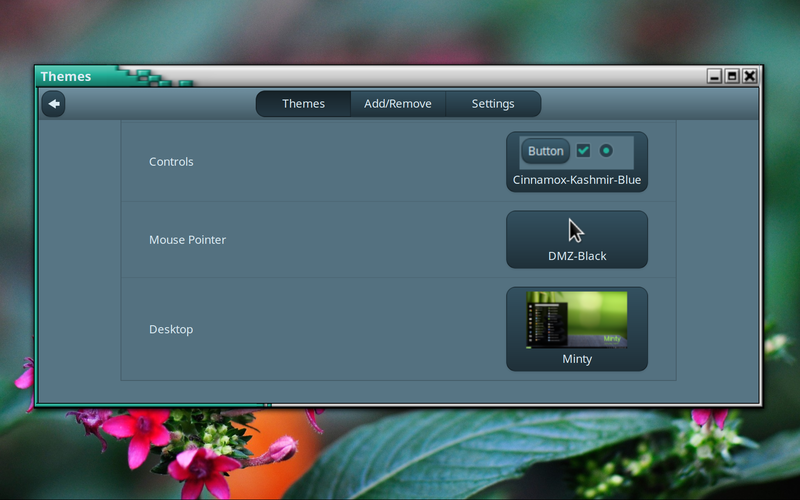 This theme was installed directly from the 18.3 Cinnamon os which was very easy and more within my current ability. I am looking at your post. A bit daunting but I will give it a shot. What I would really like is a green background with 80% transparency.